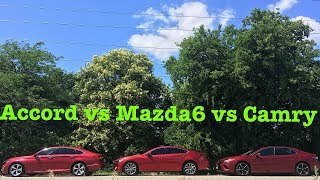 All three of these midsize family sedans are either brand new for 2019 or one year old, which should make for an extra competitive comparison. 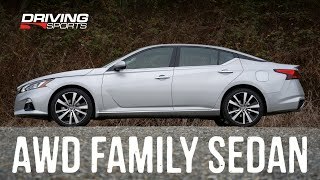 The Toyota Camry XLE, Nissan Altima SL and Honda Accord EXL are three best selling variants of their class of sedan in America, so I haven't included the Chevy Malibu, Hyundai Sonata or Ford Fusion, though they are competitors. Wtf bro honda more valuable and reliable than Nissan. some people don't ugly camry fits that description . 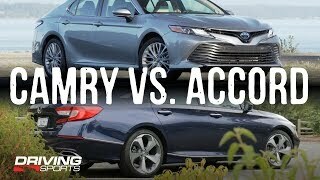 Interesting that two points were taken away from the Camry in Styling, a purely subjective rating. Move that very low 7 to a more reasonable 8.5 or 9 and already the Camry wins overall. And that doesn't take in better gas mileage and braking than the Accord and Altima according to the Consumer Reports 2019 Auto issue. The Toyota 8-speed automatic transmission is worth a point over the Honda and Nissan CVT. QuentinQuatermass Very true, the 2020 test should solve that! Thanks for the support! +QuentinQuatermass Hmm, interesting. 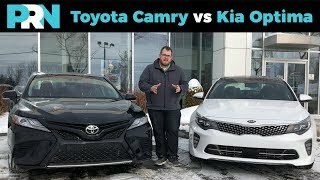 The Consumer Reports magazine I have here has the Altima and Camry tied in reliability at "Better than Average", hence why they got the same score. The Honda is average. Maybe you have some updated version? Either way you really can't go wrong with any of these cars, my family has owned three Camry's and an Accord. All very good cars (for the most part...2007 Camry was kind of a pain). 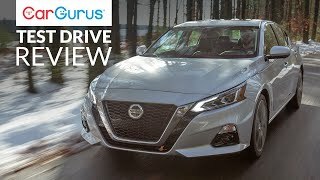 +allcarseveryday I just checked the 2019 Consumer Reports Auto issue and the Nissan Altima is rated lower than the Camry in predicted reliability, owner satisfaction, routine handling and ride. 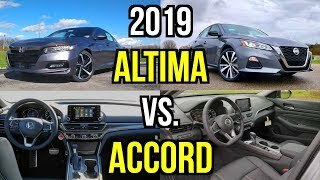 (The Altima also loses in all those categories to the Accord except they tie in predicted reliability.) 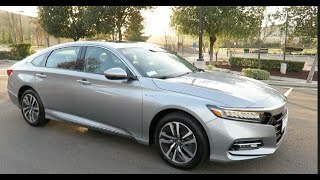 They give the $26,364 Camry LE an overall score of 86, the $28,345 Accord EX an overall score of 82 and the $29,330 Altima 2.5 SV an overall score of only 76. The Altima should be dinged at least one point in your chart for reliability which would knock it out of first place. 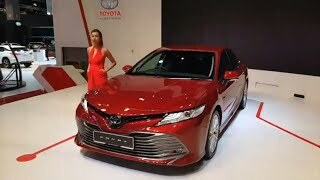 The "ugly" Camry would be looking good in first place even though you dinged it bad in styling! Anyway I will concede the Camry LE catfish front grille is unattractive but I love the look of the SE. 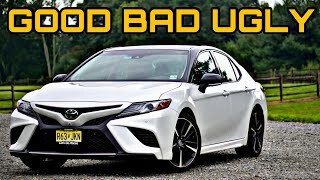 Enough that I bought a 2019 Camry SE! You're mostly correct. Cars these days are usually so similar that oftentimes winning a comparison can come down to personal preference. However, this comparison does take into account the fuel economy numbers as rated by the EPA. Those are factual. Which ones have a CVT? Not the Camry? Camry wins. CVTs, especially Nissan are awful. Ranking an Altima above an accord or Camry invalidates this comparison, Nissans (except the GT-R) are garbage. Typical Honda fanboys commenting. My company gives us Altimas because of their reliability. Hmm Imagine that. Ive driven 10s of thousands of miles with 3 different model years of the Altima and never had one problem. Not. One. I have the new 19 and love it. The cvt doesnt bothe me at all. Also have owned 4 Muranos since 05. Funny, never had problems with those either. I must be lucky i guess. 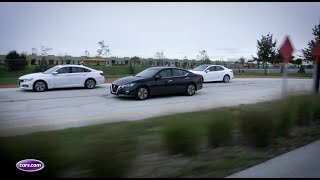 Sentra, Altima, 2 Muranos and a G37 coupe. Zero problems, great cars. Best bang for the buck. Many folks just keep drinking the coolaid poured by Honda and Toyota (I own stock in both companies but drive Nissans). 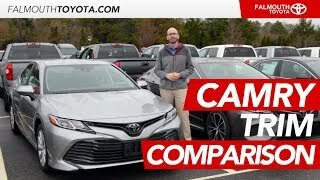 In terms of looks, I do think Toyota did a great job with the Camry, however; it seems to be that the quality in finishing on Toyota's have gone downhill. It just feels cheap, even if it looks good. I'm impressed with the improved handling, but it just has the boring lifeless Toyota feel even when they somehow make the car responsive. Of course, no Android Auto and Apple Carplay. 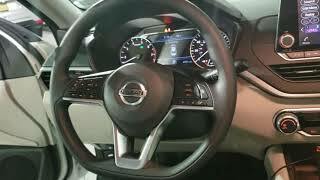 Nissan Altima is just a comfortable car to me. Doesn't really do anything that stands out compare to the other 2, but Zero Gravity Seat design is something that definitely stands out when you take it on a long trip. The CVT, although boring, really does deliver on fuel economy. 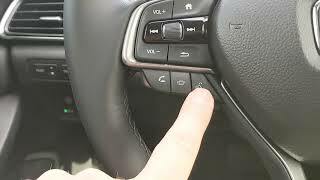 They do use better material finishing than the Camry, but their fit and gap control Nissan cars seems poorly done. I notice that their suspension system doesn't quite absorb bumps nearly as well as the Honda or Toyota. Honda to me, just seems to pull out ahead, even if only by an inch. 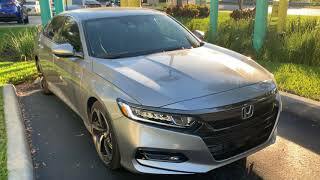 It has it's flaws like being the uglier of the two but when considering the important factors like overall feel, software responsiveness, fit and finishing, Honda just shows why Toyota and NIssan uses them as a benchmark, not the other way around. 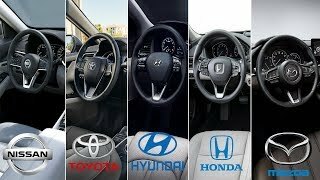 You can definitely feel the difference when you get behind the wheel of a Honda compare to Toyota and Nissan. It just feels better in every way from stability, to comfort to how it responds to you. I do wish they up their sound system game though. 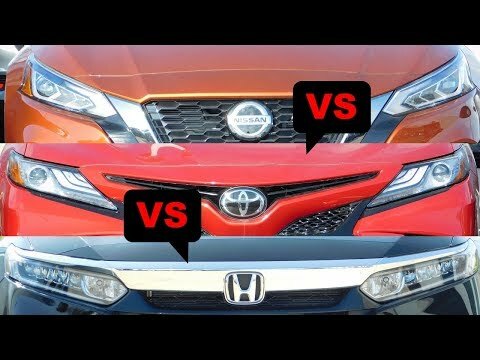 Toyota and Nissan definitely has Honda beaten there. Like I said, the Honda only wins the race by an inch, so you really cannot go wrong with any of these 3 vehicles. Pick the one that suits you best. I find it interesting there is no mention of the carbon buildup on the intake valves of direct injected motors like Honda and Nissan has. Toyota is a step ahead with direct and tune port injection which keeps the valves clean. That’s a huge oversight in my opinion. +phoodman A few companies have started using dual injection. Toyota engines are direct and port injected. The port injectors wash the valves so carbon doesn't build up while the injectors in the combustion area create power and efficiency. If you have direct injection only, the only thing you can do is either walnut blast the valves or remove the head and have it cleaned. You might see misfires as early as 60,000 miles on some cars with direct injection. WaveCrusher how do you avoid carbon buildup or get rid of it ? The Altima is still a DISTANT 3ed place ... and will remain so with the TERRIBLE JATCO CVT transmission ! 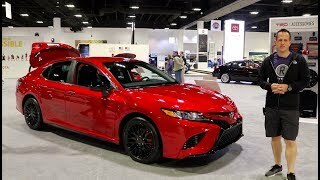 I am a Honda guy but my next car will be a Camry XLE or XSE . I like a 4 Cylinder and I cannot tolerate a CVT or a Turbo . I do a lot of town driving and that Honda Turbo does not heat up well in the winter . The car just does not blow hot air from the heater in city driving . The new Camry does a great job in all aspects . 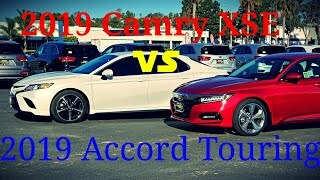 I drove the new Accord and Camry 2 weeks ago... I had each one ALL day . I would never consider an Altima ... They are a downgrade and unreliable in comparison ... You are lucky to get 90k out of any Nissan CVT . They continue to be plagued with reliability problems ! +Roshiar Fares I will consider it . Randy Jackson just Buy the 2019 Toyota RAV4, it’d worth it dude. +Roshiar Fares I know they both are good cars. I drove a new 2019 Rav4 XLE Premium yesterday . I really like it ! And I have never wanted an SUV.... But I like it .. ? "...Toyota and ... to be competitive enough to beat the Accord..." Like seriously? When were you born? Where are you from? IF YOU'ALL WANT TO KNOW WHICH CARS ARE 'THE BEST' AND THOSE THAT NEVER DIE AND I MEAN N-E-V-R DIE; COME HELL OR HIGH WATER - GOOD ROADS AND BAD - GOOD CARE AND BAD CARE - TAKE A TRIP TO JAMAICA! OF COURSE, IT'S 'THA' CAMRY AND 'THA' COROLLA! PSSSSST I OWN AND DRIVE AN '07 ACCORD AS I SPEAK - NO BIAS/PERSONAL PREFERENCE! How can you even consider the ultimate the biggest piece of crap ever made their historically horrible as far as reliability it just came out supposedly a new model you cannot cease reliable if that piece of crap just came out worst CVT known to man I own an 05 Nissan Murano the biggest piece of crap Nissan ever made the worst transmission went in the shop 3 for the transmission finally after months Nissan of North America finally bought that shitbox car back Nissan should even be considered as a car to buy because of their reliability issues! 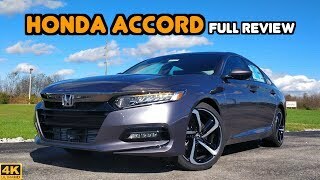 The Accord is the only car that offers you three different transmissions and a 6-speed manual the car should win hands down just for that option they make one of the best manuals out there there new 10-speed is phenomenal the resale value is one of the highest if not on par with Toyota Nissan has horrible resale value don't know how you can even think of that card beating the accord or Camry it doesn't even offer LED tail lights in any of a trim it's so bad I rather buy a Kia or Hyundai versus any Nissan sedan. The Platinum trim on the Altima has the around-view 360 camera. 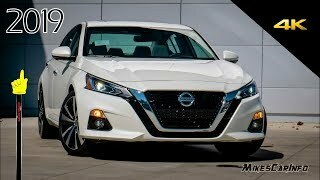 And every single trim and model of Nissan since 2012 has a very unique and advanced tire pressure monitoring system that neither Toyota nor Honda have as of 2019. In my personal opinion each one of the reviewed vehicles here bring a particular set of skills that makes them stand out on their own merits. Proper Go ahead and give the beginning of the video a listen again. Actually honda makes way better engines than Toyota. They also make there own engines. Honda is one of the best engine makers in the world. They make every engine you can think of. Hondas engine last longer than Toyota look it up. The Toyotas are verry reliable but honda is more reliable. The Toyota is safer. The hondas are faster. But c,mon to say something along the lines that eather are trash you dont know what you're talking about.